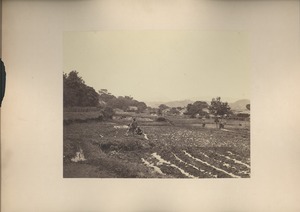 173 results found for: subject:"Japan--Photographs"
Japan - Farmworkers in recently ploughed field. 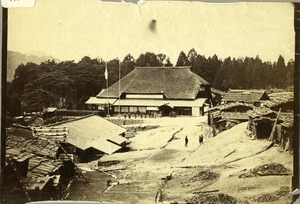 Hakone-machi (Japan) - View of building at Yumoto hot spring in Hakone-machi, Japan. Several unidentified men stand outside. 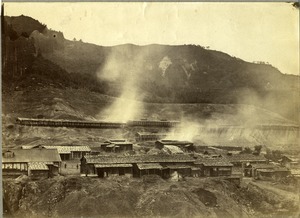 Japan - Bird's-eye view of unidentified buildings and mountain in Japan, possibly one of the hot springs in Hakone; with other photographs described as "hot springs." 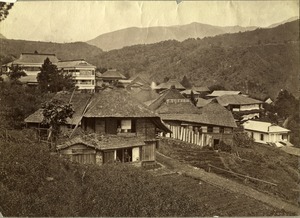 Hakone-machi (Japan) - View of buildings near Ashinoyu hot spring in Hakone-machi, Japan. 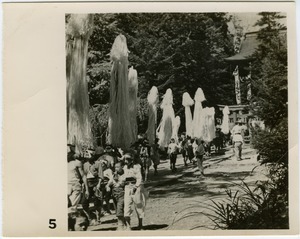 Japan - From a series of commercial photographs (labeled no. 5) depicting a Shinto matsuri (street festival). 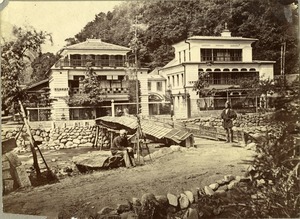 Japan - View of unidentified buildings in Japan, possibly one of the hot springs in Hakone; with other photographs described as "hot springs." 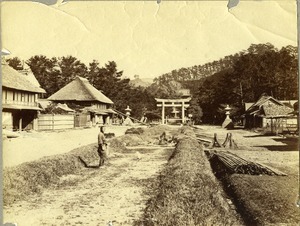 Japan - From a series of commercial photographs (labeled no. 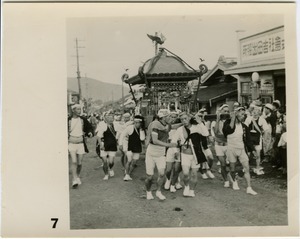 7) depicting a Shinto matsuri (street festival). 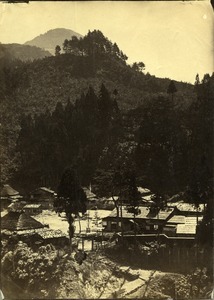 Japan - View of buildings and mountain on Miyanoshita hot spring in Hakone-machi, Japan. 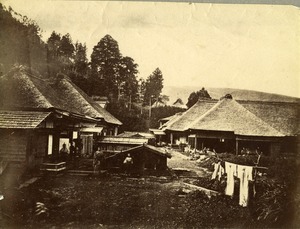 Japan - View of man in unidentified village in Japan, possibly one of the hot springs in Hakone; with other photographs described as "hot springs."